It was a Thursday and all that was needed was some paperwork and the CFI to give me a date. By Monday I hadn’t heard and was starting to get a little frustrated, surely with my procrastination over, I wasn’t going to be scuttled by somebody else’s. A few txt message later, I got a late call Monday night and the news that there was no opportunity to do the test this week. The CFI had a full schedule. However 30 minutes later he rang back and said he’d found another examiner who could do my test. Did I want Wednesday or Thursday? It was now Tuesday night and I didn’t get a reply. Wednesday morning I got the call. Your booked in for Friday, should be a good day. However, you need to urgently do your English Language Proficiency test, but we can’t fit you in. 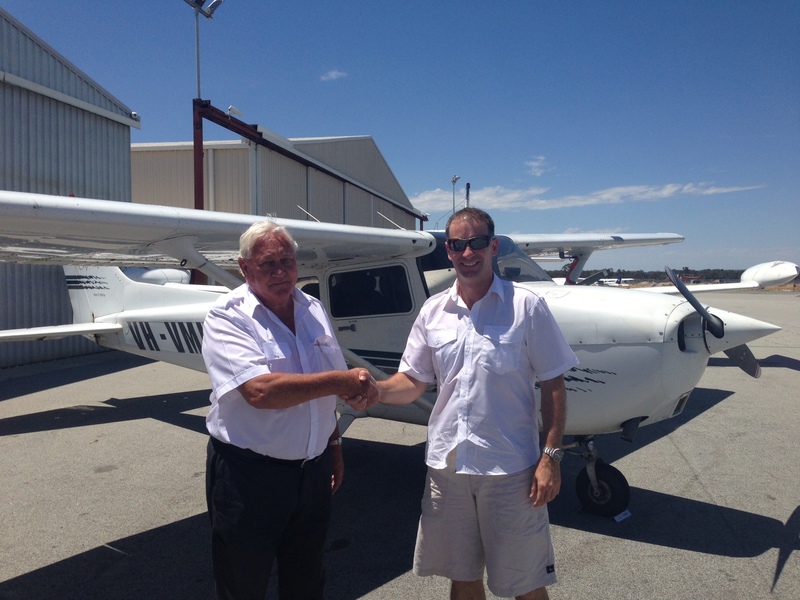 I rang the Royal Aero Club of WA and they came to the rescue. John, one of the CFIs ran me through the test. A really great bloke too. Thankfully Thursday wasn’t the day, I was as sick as hell. My neck and head were exploding, while still wrestling flu symptoms. Friday came though and I felt infinitely better. Stepping out side at 6:00am, I was greeted with this big beautiful day that was smiling at me. This was it, I knew it was perfect day. I was down at Jandakot by 7am, a good 2 hours before the examiner arrived. It was a good idea, plenty of time to pre-flight VH-VMH, re-check my maps and submit my flight plan. I drank a stack of sports drinks and relaxed, the total opposite of my Pre-License a week earlier. On the dot of 9am, Colin arrived and was straight into it. The first hour was all about theory, knowledge deficiency, privileges and limitations. That all went well, the prep-work paid off. From there it was out to the plane with a few more questions. I actually had a smile and decided that the best way to tackle the test, was to go out with the attitude I was going to have fun. That was going to be the case Pass or Fail. The flight itself went great. The route was Jandakot, Armadale, Canning Dam, Victor 66, Northam, air work there, Beverly and Narrogin. Northam was fun, we did a full stop landing. Interestingly through my entire navigation training, I’d only done a full stop landing once outside Jandakot and that was at Cunderdin when I wasn’t feeling well. The examiner was checking ground CTAF procedures as well. 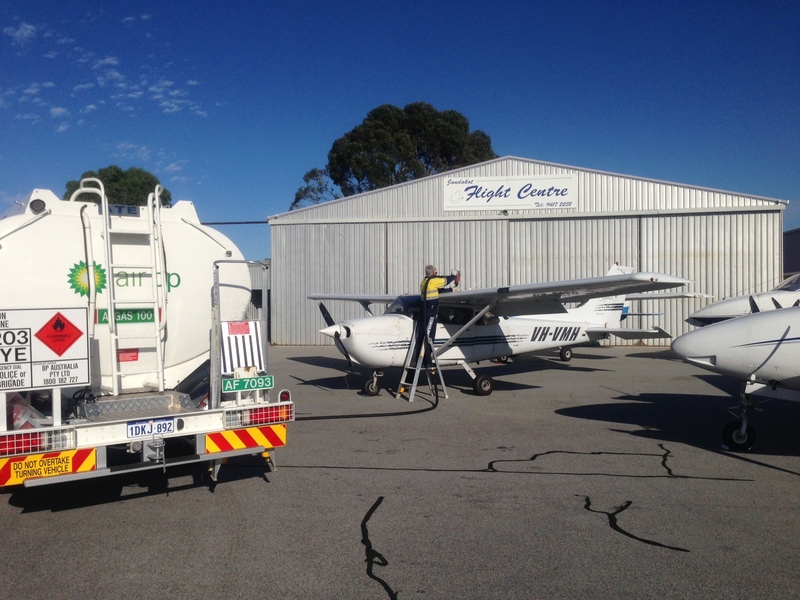 On the route to Narrogin, we did stalls, steep turns and instrument flight. Interestingly during instrument flight, Colin had me do steep turns. I hadn’t done it before and it was a huge amount of fun. Normally under the hood, you only do a rate 1 turn, somewhere around 15 degrees. This was a great exercise and it really highlights the physical sensations you feel are not consistent with what the instruments are telling you. Passing Brooklands, just north of York, we were diverted to the west as a group of meat bombers were being launched (aka. parachutists). A diversion offered by ATC was not something I’d expected either. It worked well and after that we tracked to Narrogin. From Narrogin, my route to Jandakot was changed with another diversion. It went to plan and we flew back out over Kwinana and in via Boat Yard. The arrival was great too, we were given a straight in approach to runway 12, Sweet! I got my first indication of the result after landing. Colin said, “You fly to a good standard.” Not a man of many words, but it was all I needed to hear. With that, I finally have my license! An epic “journey” and one that I own so much thanks to so many people. Air Australia, JFC, their proprietors, my instructors Adam and Wilson, the other instructors and of course, the biggest thanks to my family and friends who helped me along the way. Lots of great moments shared with a bunch of awesome people 🙂 Wooooo hoooo!!!!! This entry was posted in Flight Test, Navigation, Pilot License, Theory and tagged Cessna 172, Flight Test, Jandakot, PPL, Private Pilots License, VH-VMH. Bookmark the permalink.